Stila UK - Get Ready for the Stila New Year's Day Sale! The Stila New Year's Day Sale is now on! 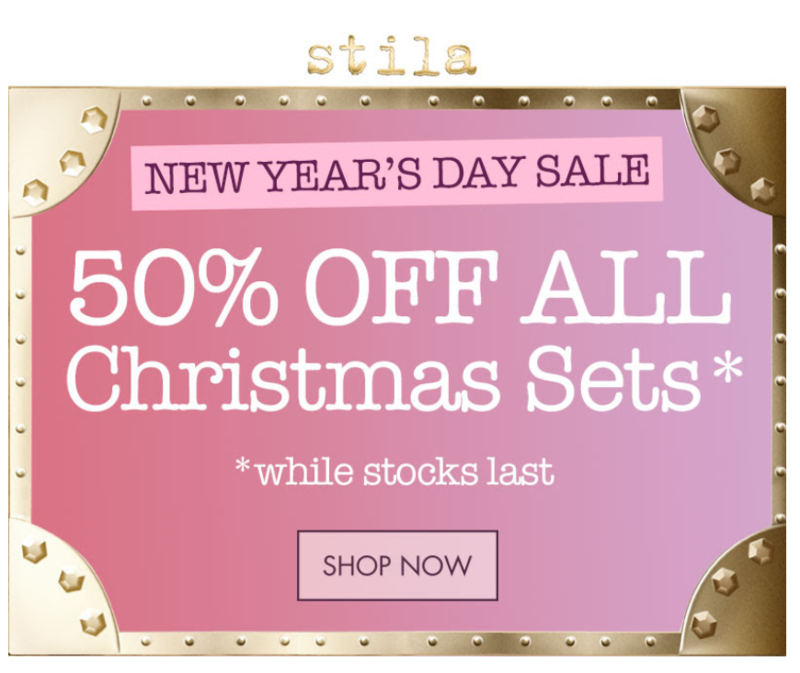 Save up to 70% on loads of Stila favourites plus 50% off our gorgeous Christmas sets! Stock is limited so shop soon to avoid disappointment!